It’s that special time of year, where we take a day to honor the moms in our lives and give thoughtful and meaningful gifts that touch her heart. If you’re looking for something a little more unconventional than the typical flowers and candy, keep reading! We’ve outlined a few of our favorite unique gift ideas for mom this Mother’s Day! On Mother’s Day, one way to treat mom right is to give her a skincare gift basket to pamper herself. There are so many options to create a skincare gift basket, but if you need ideas, we love the example shared by a local blogger, Ctrl+Curate. In this basket, you can add all sorts of skincare and spa goodies. The natural sea sponge pictured here was bought at Ward’s, and you can also find great varieties of other skincare products at Ward’s such as natural, locally handmade soap by Stinky Lewis Soap, luxurious skincare products from Derma-E, and so much more! Has your mom jumped on the kombucha train? If so, we have the perfect gift for her! 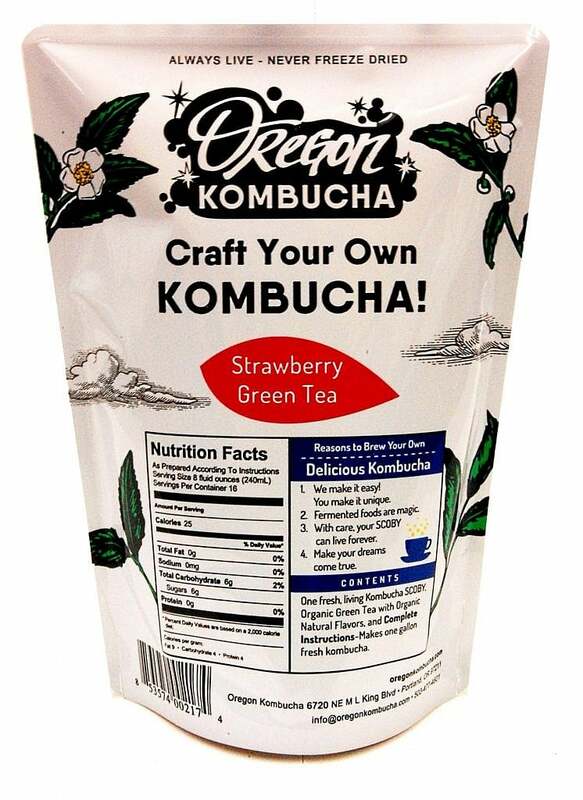 Here at Ward’s in our Natural Foods section, we sell Oregon Kombucha starter kits. Kombucha has numerous health benefits and getting a starter kit for your mom to make her own will show her how much you care. You might even be able to make a batch together, and make some memories! Yup, that’s right! Olive oil and vinegar aren’t a typical gift idea for a Mother’s Day, but for the moms with discerning tastes, it will be a gift that they will appreciate! 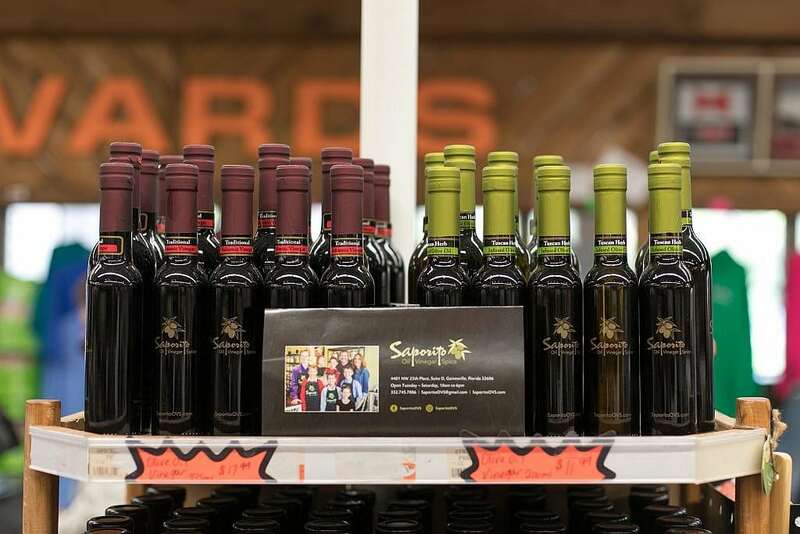 Our partners at Saporito Oil, Vinegar, and Spice offer the highest quality olive oil and vinegar in a variety of flavors. Here at Ward’s, we feature a selection of their best-sellers, including Garlic Olive Oil and Lemon Balsamic Vinaigrette. We’re sure mom will love the flavor and love using them to make her favorite recipes! If you want to step up your gifting game, you can create a beautifully themed gift basket with olives, crackers, seasoning, and more! Sometimes the best gift you can give mom is a great meal. Imagine mom’s surprise when she wakes up on Mother’s Day morning to a beautiful and delicious brunch just for her! The best thing about brunch is that it can be anything you want it to be. Do you like omelets and waffles, or do you enjoy fried green tomatoes with chicken (a southern favorite)? Whatever you choose, it’s all about creating an atmosphere and experience for mom that she will never forget. If you need an idea for a simple Mother’s Day brunch, we found a blog on how to host a simple Mother’s Day breakfast, which might give you some great ideas. Bouquets are a beautiful gift for moms, but if you want something a little more unique for your mom, then mini bouquets are your answer! A quick search on Pinterest brings up so many great examples of these delicate bouquets. Why give mom just one bouquet when you can give her a bunch! Here at Ward’s, we have a beautiful selection of fresh flowers and plants to choose from for your custom mini bouquet. If you want to take this gift a step further, you can turn your mini bouquets into magnets. 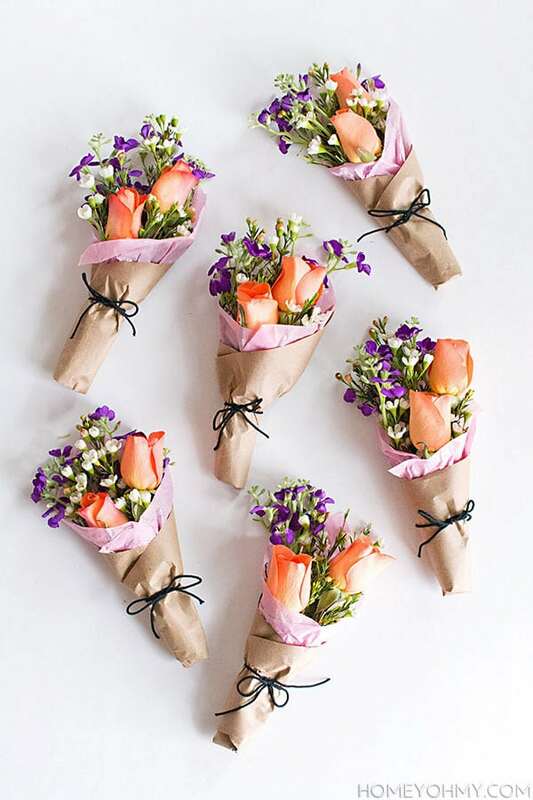 Make your mini bouquets, dry the flowers, and then glue a magnet. Your mom will then have a precious bouquet to remember your love all year long! 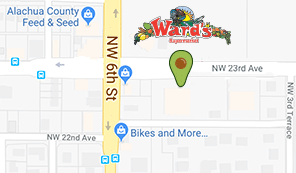 Shop Unique Mother’s Day Gifts at Ward’s! If you are still looking for a unique gift for mom, then just take a quick stroll through Ward’s and we’re sure you’ll be inspired. We have over 350 local products and goods that your mom might love, so visit us in Gainesville today and pick out the perfect gift for mom!